For those of you who don’t already know—cardio is pretty much our jam at In-Shape. 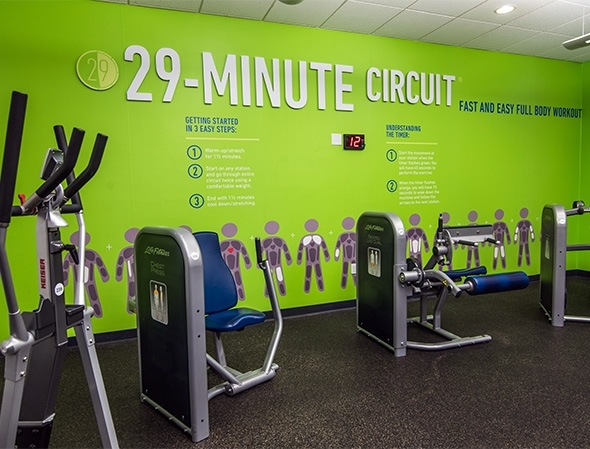 It’s one of our favorite ways to work out, and we’ve created fun (and intense) ways for you to get your cardio on when you’re here at the club. Get your heart rate going and catch your favorite shows in our Cardio Theater, while using our top-notch equipment. Get the feel of cycling on the road without the potholes. Experience hills, flat terrain and jumps using sitting and standing positions. Cycling is for everyone, at any age and fitness level. Swim laps, join a class or take a dip any time of the year in one of our indoor or outdoor pools. Get your heart pumping with a full-body workout in less than 30-minutes. Cardio group fitness classes is one of our favorite ways to work out, and we offer a wide variety of fun (and intense) class options to choose from to get your cardio on. Everyone from beginners to advanced members can enjoy our private workout area with a selection of equipment seen throughout the club.